The Museum was established in 1980 and celebrates the history of the village. 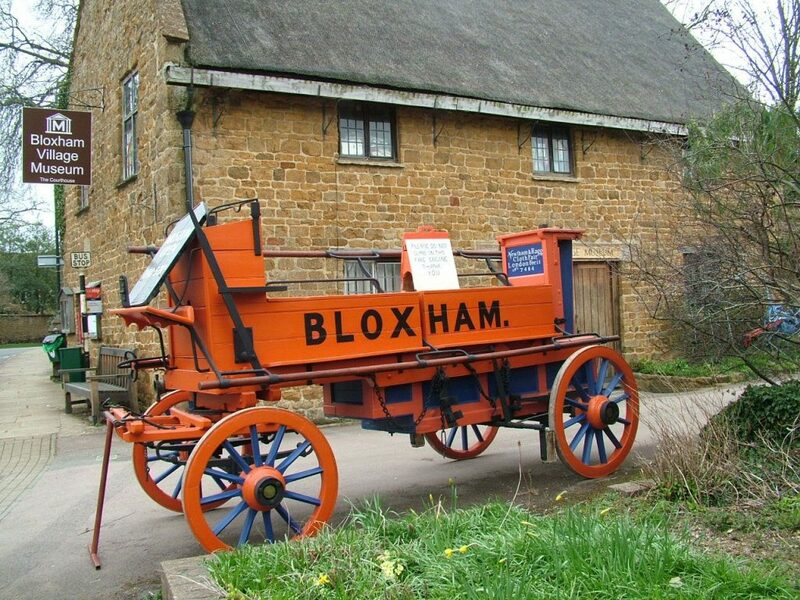 Bloxham Village Museum houses a collection which reflects past life in this ancient and beautiful village. The museum collects today for tomorrow, items with a Bloxham significance particularly related to the period when Bloxham was a self-supporting community. There is a new exhibition every year so our visitors are able to access as much of the collection as possible. Our exhibitions are designed to appeal to all ages and we always have a free quiz for children to enjoy. Check the ‘What’s On’ page to see further details of the current exhibition. The museum is open at weekends and bank holiday Mondays from Easter Sunday until the last Saturday in October. It also hopes to continue regular weekday openings during the summer school holidays. We will open for group visits by appointment at any time during the open months. The ‘Plan Your visit’ page gives full details of opening dates and special openings. Bloxham Village Museum was established in 1980 by Mrs Yvonne Huntriss MBE and celebrates the rich history of the village of Bloxham. The museum is a registered charity and is run entirely by volunteers. Bloxham is a beautiful village about 3 miles south of Banbury and very close to the delightful Cotswolds. The museum is situated in the ground floor of the old Courthouse adjacent to the Parish Church of St Mary’s. This magnificent church is well worth a visit; its 198 ft spire can be seen from miles around. For a day out in beautiful Bloxham, your visit to the museum could be combined with the Bloxham circular walk or one of the walks in the book “Exploring Old Bloxham” available at the museum. There are several pubs in the village offering refreshments throughout the day. Bloxham has long been associated with agriculture and evidence has been found of small Romano-British agricultural communities within the parish. The name appears to have derived from the name Blocc. During the Saxon invasions, the family of Blocc established a settlement on both sides of the brook. This was then known as Blocc’s ham (home), eventually becoming Bloxham, one of the early Saxon villages in the area. After the Norman Conquest, the King held Bloxham which became a royal manor. The first stone church was then built and its present size and grandeur is considered to owe much to the links with the noblemen at court. The village grew and evolved but remained a self-contained community until the early 20th century. The railway came to Bloxham in 1887. The station was on a branch line from Banbury to Cheltenham but operated for only 75 years. The last passenger train left the village in 1951 and the last goods train passed through eleven years later in 1962. The station was demolished in 1964. The Courthouse, in which the museum is situated, is an ancient building owned by the Bloxham Feoffees. It has an interesting history of its own and is on the site of an even older building which a decree of 1602 described as “The Town House to keep the court in and for other necessary uses”. The Manorial Courts were held here two or four times a year. The Courts Baron which dealt mainly with transfers of manorial property continued to be held here until 1925. The building was rebuilt in 1689 and has been further restored during its history but the 14th-century window and doorway were saved and can be seen in their new locations on the east and north side. The Bloxham Feoffees are the Trustees of the ancient charities of Bloxham and thought to have existed since Saxon times. They effectively operated as a town council until 1895 when Parish and District Councils were established and took on many of their duties. The Feoffees remain active in the village with their income derived mainly from their ownership of land and the Courthouse. The Feoffees are also a registered charity and periodically notices appear in the Bloxham Broadsheet inviting appropriate applications for grants from local individuals and organisations. “The Bloxham Feoffees” a booklet describing the history and work of the Feoffees in greater detail is on sale in the museum. More can be read about the history of Bloxham and the families and activities associated with the village in the range of interesting books for sale at the museum. Take a look here If you would like to research family or local history of Bloxham we have a number of resources available and will welcome your enquiry.